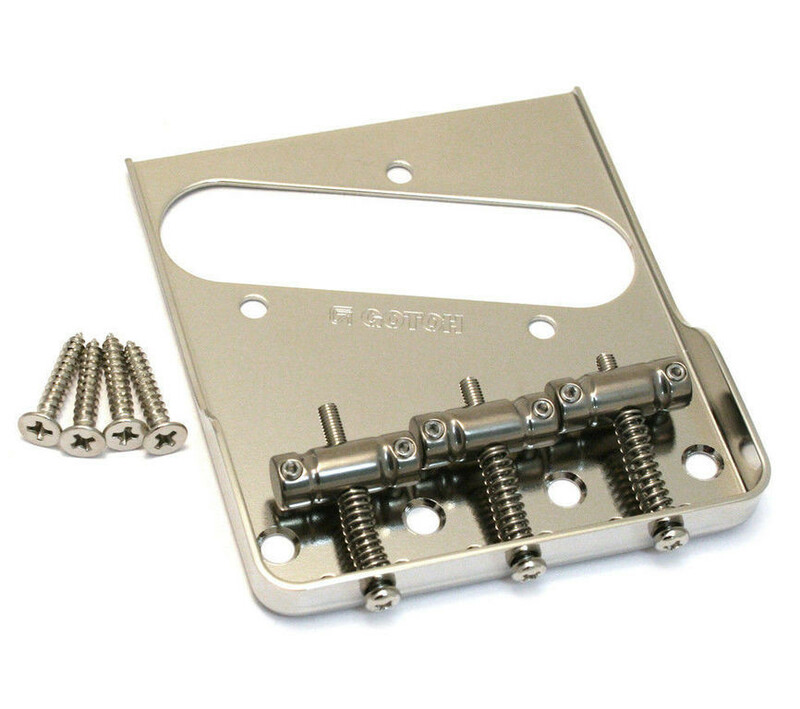 Gotoh nickel finish vintage style replacement bridge for vintage Telecaster®. Features three micro compensated TITANIUM saddles for easier intonation and great tone. 2-1/8"(54mm) string spacing. Strings through body. Includes mounting screws.